About Elite Drone Aeronautics, LLC. 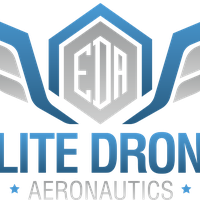 Elite Drone Aeronautics offer a high-tech yet cost effective solution for aerial cinematography. Able to capture footage from a different perspective than ground based cameras, we provide stunning HD and 4k quality videos and still. With a full 360 degree unobstructed view, we have the freedom to capture truly creative, one of a kind shots without adding high cost to you budget. Elite Drone Aeronautics provides professional aerial Inspection & Survey support and services to private, commercial and government industry, where there is a need for safe and environment friendly risk assessments. We can record and identify damage, malfunctions and/or areas requiring periodic attention or preventive inspections. Our state-of-art drones (UAV- Unmanned Aerial Vehicles), deliver real-time – for immediate assessment and evaluation – images and life streaming footage up to an incredible and un-paralleled 4k high resolution quality.